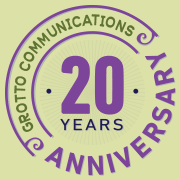 how marketing has changed Archives | Grotto Communications Inc.
20th Anniversary! Marketing Has Changed. Have We?